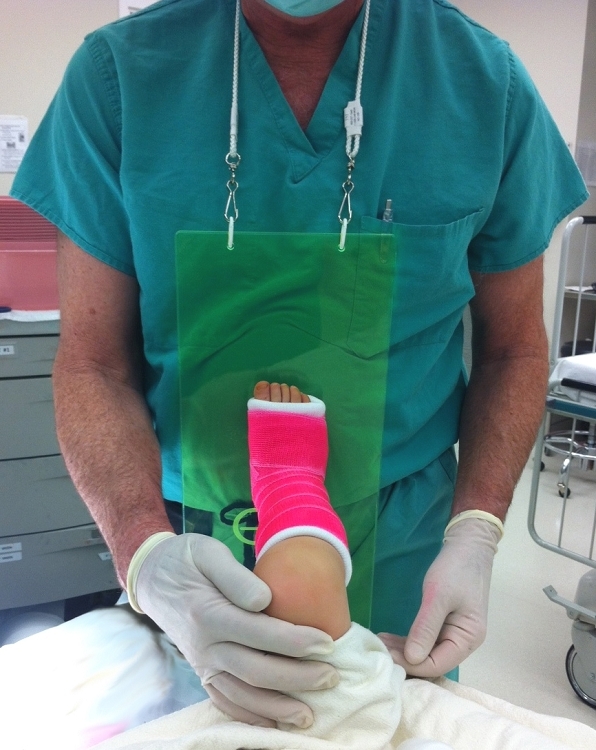 The C-Thru Cast Board with Lanyard protects scrubs during casting. Bright green acrylic board rests on the tech's chest and prevents casting material from destroying scrubs. An inexpensive and easy way to keep scrubs clean!